D5′s 2014 State of the Work highlights new tools and resources, recently completed research, and new organizational approaches that can help foundations and philanthropic organizations take action, achieve their goals regarding DEI, and advance the common good. The 2014 State of the Work also features perspectives and analysis of three thought leaders on DEI issues and their charge to their peers in philanthropy: Ange-Marie Hancock, Associate Professor of Political Science and Gender Studies at the University of Southern California; Todd Vogel, the Managing Director of Loom; and Gerri Spilka, Founding Director of the OMG Center for Collaborative Learning. To better understand how community foundations can best respond to the current environment, CEP asked donors about how satisfied they are with the community foundations with which they work. What matters most to them? In this policy report, the Annie E. Casey Foundation explores the intersection of kids, race and opportunity. The National Center for Family Philanthropy and Youth Philanthropy Connect, a program of the Frieda C. Fox Foundation have joined together to bring new resources to the field of philanthropy focused on engaging the next generation of donors and family members. Igniting the Spark: Creating Effective Next Gen Boards is the first publication of its kind, offering a comprehensive overview of the growing practice among family foundations and donor advised fund holders of using next generation boards. 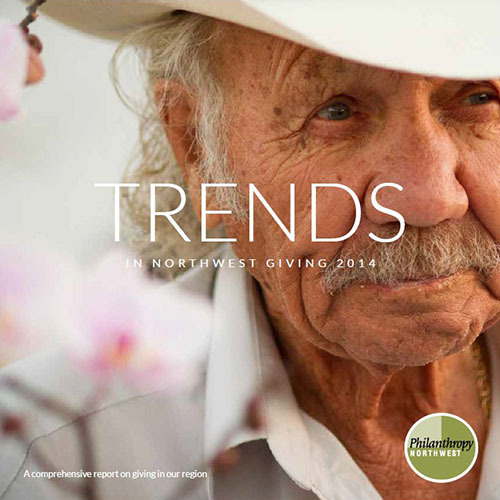 This report was developed by Kauffman and Associates, Inc., under contract with United Way of Seattle-King County, with the support of the City of Seattle, The Seattle Foundation and the Muckleshoot Indian Tribe.